Thank you for visiting! 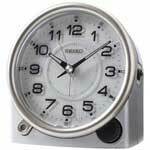 We offer a great selection of Seiko Clocks for every need and occasion. We ship anywhere in the Cont. United States and our inventory is updated daily so we can ship quickly. Select from the Categories at the top/left of every page and click any image to display an enhanced image of your choosing. Have a Question? Call us Toll Free at 1-866-402-8715 during store hours between 10:00AM and 6:00PM EST Monday through Friday or contact us by email and we will be glad to help. We try to keep all Seiko clocks in stock all of the time. Most clocks are shipped immediately for quick-ship. Most clocks are delivered to you in a few days. 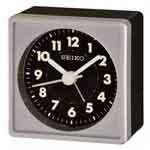 We are an authorized Seiko center and carry only first quality Seiko Clocks at the lowest price allowed. All Seiko factory warranties and services are available to our customers.